Is your spouse your friend? He or she may have been once. But things have changed. Career, family, finances, travel, ambition, fear, discontentment, illness. Sometimes life seems to get in the way. We stand shoulder to shoulder to get through a season of hardship or change. We make decisions that don’t support our friendship. We believe lies about our future. And before we know it we are journeying in our marriage so far from face to face, eye to eye. To be married is to have a lover and a friend. Friendship is crucial. This series on marriage is so very helpful. 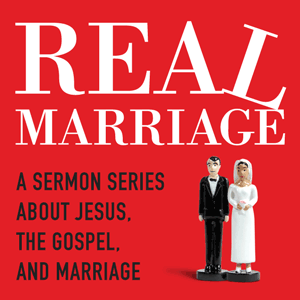 If you long to be friends with your spouse, if you long for a new marriage with the same spouse avail yourself to the Real Marriage series from Mars Hill. Read it, listen to it, view it together. Download it to your iPod, listen to it as you travel. Choose to make it real, and redeem your friendship.